Comment: Does Labour really have a chance in Northern Ireland? Last month Andy Burnham raised the issue of the Labour Party standing candidates in Northern Ireland. While not explicitly stating that he would make the change if he became leader, he did say that he would “support an immediate review of the current prohibition on Labour Party candidates”. To date, Burnham is the most senior figure from the party to publicly state this. He reiterated his mantra on how he would break the mould of the out-of-touch Westminster elite, and argued that if he was elected leader he wanted the people of Northern Ireland to know that “the party is listening”. This potential foray into Northern Irish politics raises an interesting debate on whether Northern Ireland would embrace a neutral, non-sectarian party or whether they would face an uphill battle similar to the NI Conservatives. I spoke to Boyd Black, the NI Labour Party secretary, to ask what he made of Burnham’s comments, and he told me he was, “delighted with Andy’s support”. He told me that he believes the best way to enter local politics would initially be through local government elections. Given all the hard work NI Labour has put in establishing the party across the water, and the spike in party membership since the election where support has doubled since May, Boyd believes the party has a bright future in Northern Ireland. The idea of Labour standing in Northern Ireland is quite complex, however. Sectarian politics dominates the local scene, with the vast majority of votes being cast in relation to which side of the community people are from. With Sinn Fein and the DUP as the two largest parties, voters find themselves trapped into voting for one to keep the other in check and to maintain the status-quo. If Labour were to stand against these two behemoths of Northern Irish politics, they may very well be seen as taking sides on certain issues, and diminish any gains they make, similar to the flags incident that damaged the Alliance Party in East Belfast. The Labour Party would also find it difficult to appeal to nationalist voters, given that it is a British party ruled by Westminster. Since its inception, Sinn Fein has refused to take its seats in parliament, as it rejects the legitimacy of British rule in Ireland. Given the struggles nationalists have waged in Northern Ireland since partition, it would be hard for Labour to campaign in Sinn Fein strongholds like West Belfast and West Tyrone, both because of the opposition they would face and the potential danger involved in entering these areas to further the cause of a British party. Likewise, Labour might face an uphill struggle in breaking the duopoly of the DUP and UUP in unionist communities. With the DUP so entrenched in areas like North Antrim, and the UUP on the comeback trail having taken Fermanagh and South Tyrone as well as South Antrim, Labour may find it hard to connect within these rural areas where unionism and conservatism reign. Yet these potential roadblocks can be overcome. 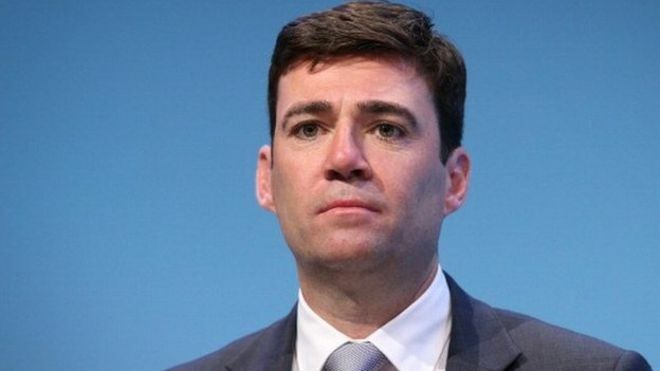 If Labour were to establish strong links with the growing Irish Labour Party, and stand on its own without being seen as a branch of the party ruled by what Andy Burnham calls the ‘Westminster elite’, Labour has a genuine chance of gaining support in nationalist areas. Many alienated nationalists and left wing activists could rise in areas like West Belfast, especially if the predicted Corbyn victory occurs. In some unionist areas, there will be little support for a party of the left. Yet in areas like East Belfast, where poverty and a lack of infrastructure are more severe than in other areas of the country, many are crying out for an alternative to the mainstream unionist parties, who are accused of neglecting their needs. The UUP have pulled out of the power sharing agreement, citing a renewal of IRA violence following the murder of a man in Belfast. If the DUP follow suit, the whole power sharing agreement will be brought crumbling down, beginning a new period of home rule. With many accusing the UUP of using this tragedy to further their own political agenda, now could be the time for Labour to fill the void and give areas like East Belfast the chance to shed sectarian politics and help it become the industrial powerhouse it once was. In time, a successful Labour Party in Northern Ireland, with progressive ideas and a genuine alternative to sectarian politics, could make inroads into the current status-quo, and garner support from both sides of the divide. In years to come, there is a possibility that both East and West Belfast could vote for the same party. Labour will be sussed out as the false prophets they are in Norn! If they were real they would not peddling their wares in a place they do not belong. Socialists are found in Ireland like all other ‘nations’. sadly not so much in new Labour. Look to Scotland to see what these geniuses can work up. It seems to me that to break the hold of sectarian politics in NI, you would need to introduce some system like AV, giving non-sectarian parties a chance to pick up second preferences. I don’t expect this to happen in the remotely forseeable future, but it would be a good thing for Northern Ireland if it did. I have never understood the reasons for Labour not to stand in NI or why the working class from Belfast, Derry or Strabane would not welcome Labour, I’m sure many people from NI would love to break from the narrow minded system they have there and vote for a refreshed Labour Party led by Corbyn. of course if Corbyn loses they might just as well keep voting the way they do because the present Labour Party look pretty much like the DUP. Labour or Progress I suspect it will be Progress they may ask Murphy to nip over and get it going for progress.